Per scaricare il driver per DELL LATITUDE 10, compatibile con Windows, Other, Non-OS, Windows 8.1 (32), Windows 8 (64), Windows 8 (32), Windows 7 (64), Windows 7 (32), Windows Vista (64), Windows Vista (32), Windows XP (64), Windows XP, Windows 2012, Windows 2008 (64), Windows 2008 (32), Windows 2008, Windows 2003 (64), Windows 2003, Windows 2000, Other, premete sul pulsante "Download". Se avete bisogno di driver o firmware di un’altra versione, inviate una richiesta. Se avete delle domande su questo driver, contattateci utilizzando il modulo di contatto. Sempre su questa pagina, potrete anche discutere di dettagli riguardanti installazione, rimozione o aggiornamenti per questo driver. This package provides the driver for Dell Wireless 5565 WWAN Mobile Broadband module and is supported on Latitude 10 series models that are running the following Windows Operating System: Win8 and Win8.1. The Dell Client Integration Pack (DCIP) 3.1 for Microsoft System Center 2012 Configuration Manager SP1 extends Configuration Manager to provide superior management for Dell Business Client platforms. This product provides easy integration of OpenManage Client Instrumentation (OMCI), Client Configuration Toolkit (CCTK), and Dell Driver Cabs for OS Deployment into your SCCM console, as well as provides a unique Out of Band Plugin view into SCCM for controlling your vPro-enabled devices Out of Band. This package provides the Dell Data Protection | Access and is supported on OptiPlex, Tablet, Precision and Latitude models that are running following Windows Operating Systems: XP, Windows 7 and Windows 8. This package provides DDP | Security Tools Application and is supported on Tablet, Precision, OptiPlex and Latitude models running the following Windows Operating System: Windows 7, Windows 8 and Windows 8.1. This package provides the Dell Digital Delivery Application and is supported on XPS, Inspiron, Dimension, OptiPlex, Alienware, Tablet, Vostro, Precision and Latitude models that are running the following Windows Operating Systems: Windows 7 and Windows 8. This package provides the Dell Feature Enhancement Pack Application and is supported on OptiPlex, Precision, Tablet and Latitude models that are running the following Windows Operating Systems: Windows 7 (32-bit) and Windows 8 (32-bit). This package provides O2Micro OZ77CR6 Smart Card Driver and is supported on Latitude 10/6430u/E5430/E5440/E5530/E5540 models that are running following operating systems: Windows 8.1 32/64 bit. This package provides the Dell Inventory Collector Application and is supported on OptiPlex, XPS Notebook, Tablet, Precision and Latitude models that are running the following Windows Operating Systems: XP, Vista (32/64-bit) and Windows 7 (32/64-bit). This package provides the Dell Smartcard USB Keyboard Driver and is supported on OptiPlex, Tablet, Precision and Vostro Desktop models that are running the following Windows Operating Systems: Windows 7 (32/64-bit), Windows 8 (32/64-bit) and Windows 8.1 (32/64-bit). This package provides the driver for the SMSC LAN and is supported on the Latitude 10 and Latitude 10 ST2E. This package provides the Firmware for Dell Wireless 5565 WWAN Mobile Broadband module and is supported on Latitude 10 models that are running the following Windows Operating System: Win8 and Win8.1. This BIOS must be used with version A06 or later Intel chipset driver posted on Support.Dell.com.Bitlocker must be suspended before flashing this BIOS. It can be changed via the "Bitlocker Drive Encryption" icon in control panel. 1. Update Intel the latest code and need to use with version A06 or later Intel chipset driver posted on Support.Dell.com.2. Fix BIOS flash utility display error when an admin password is set greater than 8 characters in BIOS SETUP.3. Update the warning message in BIOS flash utility.4. BIOS flash utility support password option.5. Enhance Multiple Boot manager entries.6. To improve system time shift. This package provides the BIOS update for Dell Latitude 10 - ST2 and is supported on Latitude 10 - ST2 model running the following Operating Systems: Windows. 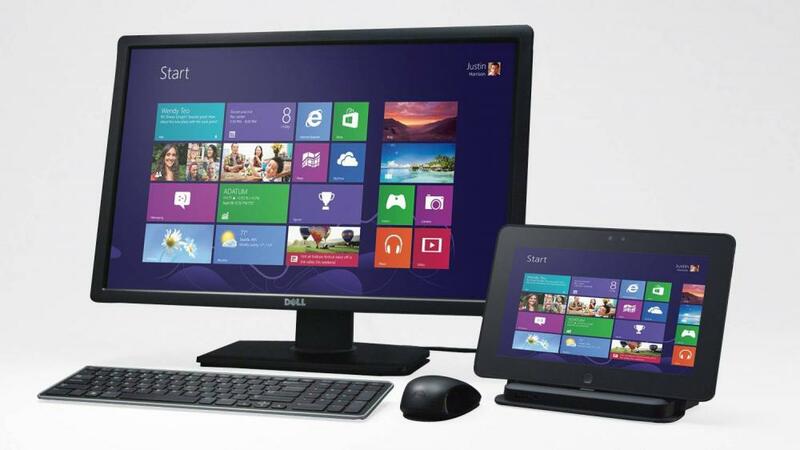 This package provides the Dell Feature Enhancement Pack Application and is supported on OptiPlex, Precision, Tablet and Latitude models that are running the following Windows Operating Systems: Windows 7 (64-bit) and Windows 8 (64-bit).